Can you believe that we were enjoying temps in the 70’s this weekend?! It’s so crazy. The trees here haven’t even started turning yet and September is almost over! That’s unheard of and I really don’t remember the weather ever being this warm around this time of year. I am loving it! We took the kids to a corn maze on Sunday and spent as much time outside as we could this weekend. 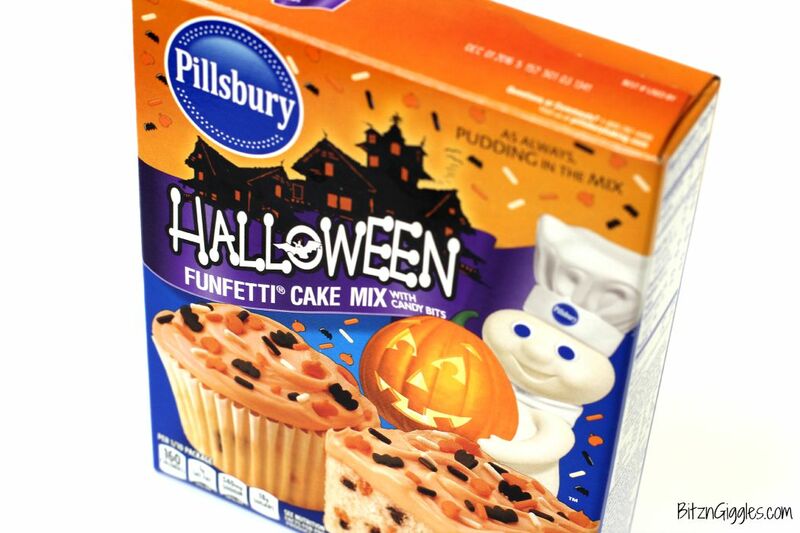 I started pulling out my Halloween decorations for the house and while shopping this week, I saw Pillsbury had their Halloween Funfetti Cake Mix out on the shelves for the season. Of course I snagged one up. We’re funfetti lovers here at the house and I had something in mind for this particular box of cake mix. I have to admit, we’re not huge pumpkin lovers here at the house. I mean, we like to pick them, carve them and enjoy them at Halloween, but we’re not big into pumpkin flavor. 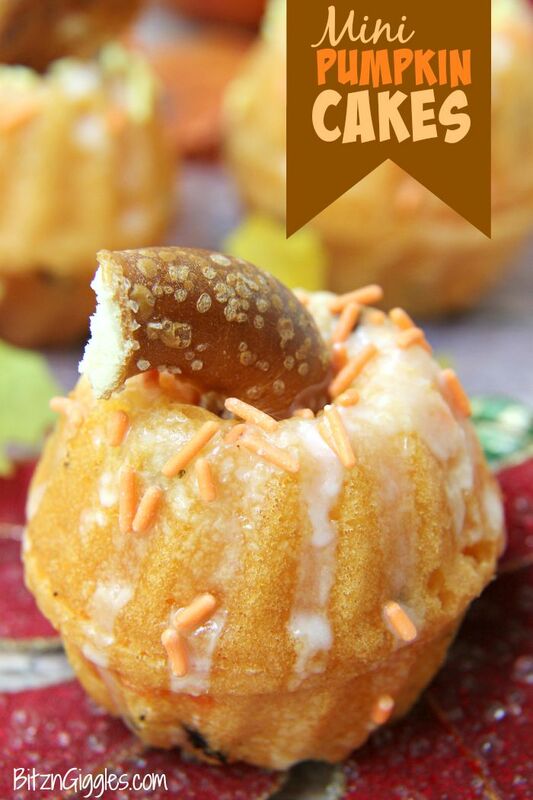 So, for those of you who can relate, here are pumpkin treats that don’t taste like pumpkin (they could if you have a pumpkin cake batter recipe you like)! 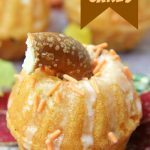 Although I’m not sharing an actual “recipe” today, I’m sharing a fun technique for making Mini Pumpkin Cakes that I hope you’ll enjoy! Our family is BUSY, just like I’m sure yours is, too! While I wish I had hours available in my day just to bake. . .I don’t. But that doesn’t mean I don’t like to have fun in the kitchen. My fun just happens to be faster and easier than big layer cakes and hand-piped flowers. Who has time for that?! Not us. 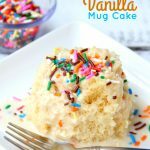 But keep in mind, if you do have time to make your own homemade cake, by all means, you can use your own recipe along with this technique I’m sharing today! 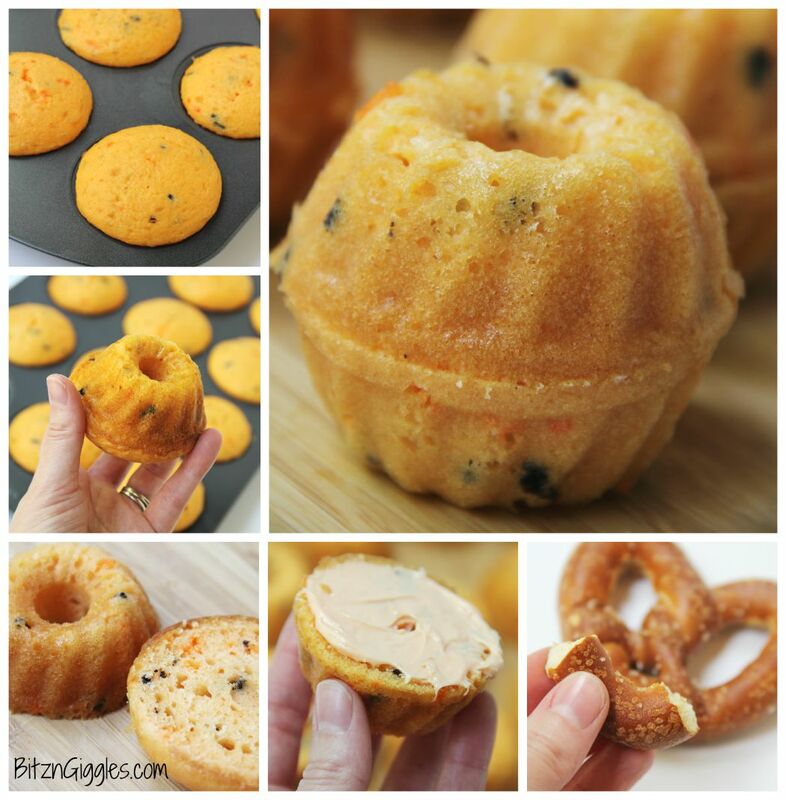 The photos pretty much speak for themselves, but the first thing you need for these cakes is a mini bundt pan . After you bake the cake mix in the pan, you basically cut each of the cakes in half. Set the “muffin tops” (yep, I said muffin tops) aside and keep the bottoms. Frost one of the bottom parts of the cake and stick another bottom on top (forming your pumpkin). I used pieces of sourdough hard pretzels for the pumpkin stems and then just drizzled the tops of the pumpkin cakes with a powdered sugar glaze. I kept the glaze fairly thin because I actually wanted it to soak into the cakes a bit. 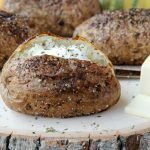 If you’d rather have a thicker glaze, just add less water than suggested. I added a few sprinkles to the pumpkins and TADA!! They were done! Now, you could pipe some green icing leaves onto the tops of the pumpkins if you’d like, as well. I kept mine simple. Think of these as pumpkins that have already been picked from the patch! So, here’s the deal. A 12-cavity bundt pan will make 6 pumpkin cakes. You’ll find that you have a little more cake batter than what you need (I made a couple cupcakes in addition to the pumpkin cakes) and you’ll also have those “muffin tops” left over. So, what to do, what to do. 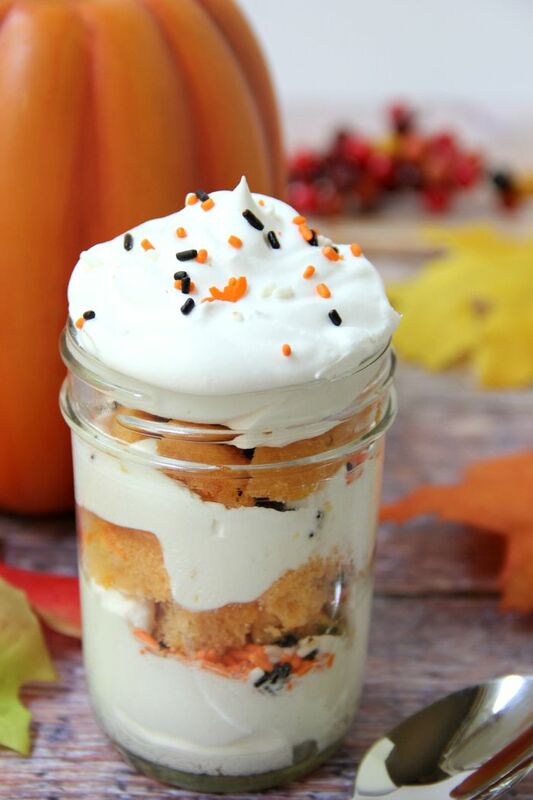 I made some delicious Pumpkin Cake Parfaits! You could either make individual parfaits or go for a trifle dessert! I started with a Cool Whip layer on the bottom, dropped in some sprinkles, cut up a muffin top and threw that in there. . .and repeated the layers ending with some fluffy Cool Whip and sprinkles on top! Each parfait used 2 of the muffin tops, so if you made the individual parfaits, you could make 6 of those, too! 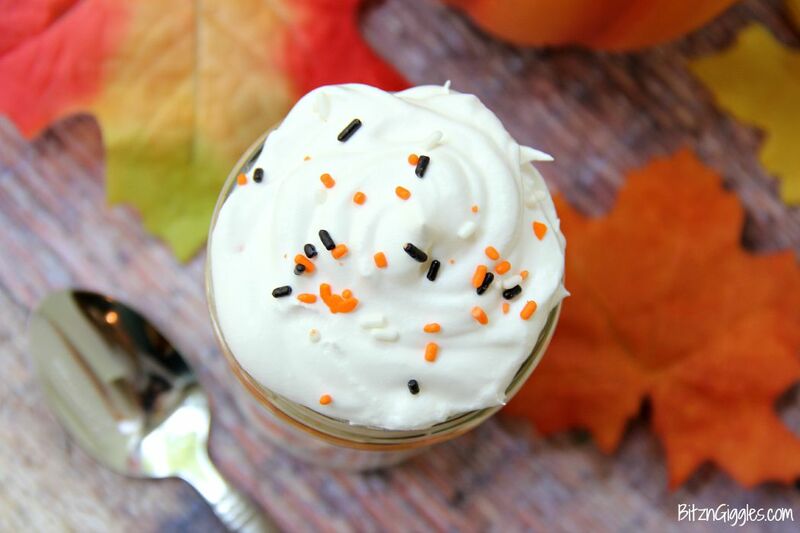 With the addition of Cool Whip you can “whip up” two different desserts in no time at all! 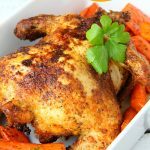 It would be great for Halloween or Thanksgiving! Let your guests choose which dessert they prefer. Have one, have both. Hey, we’re celebrating, right? Right. So, when Mother Nature finally decides to get out her paintbrush and add some color to those trees. . .I’ll try and have my camera ready. 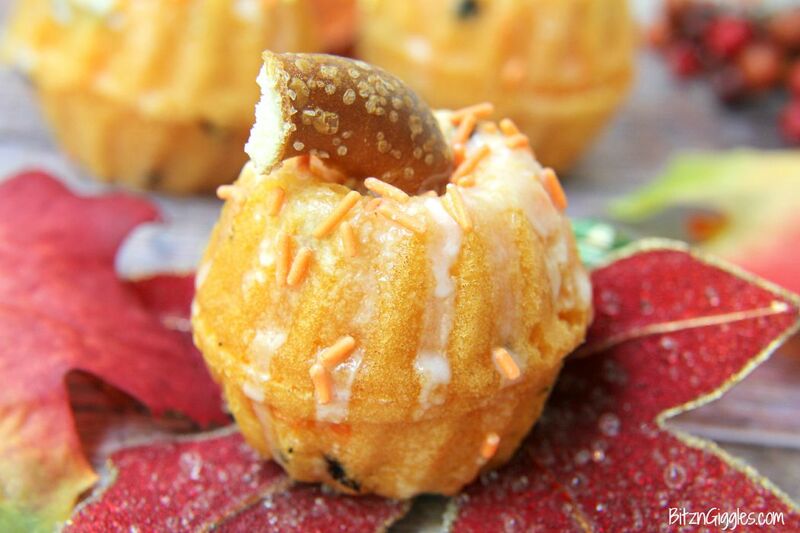 For now, just get in the kitchen and make some of these Mini Pumpkin Cakes. You don’t have to wait for the trees to turn to enjoy a yummy dessert! 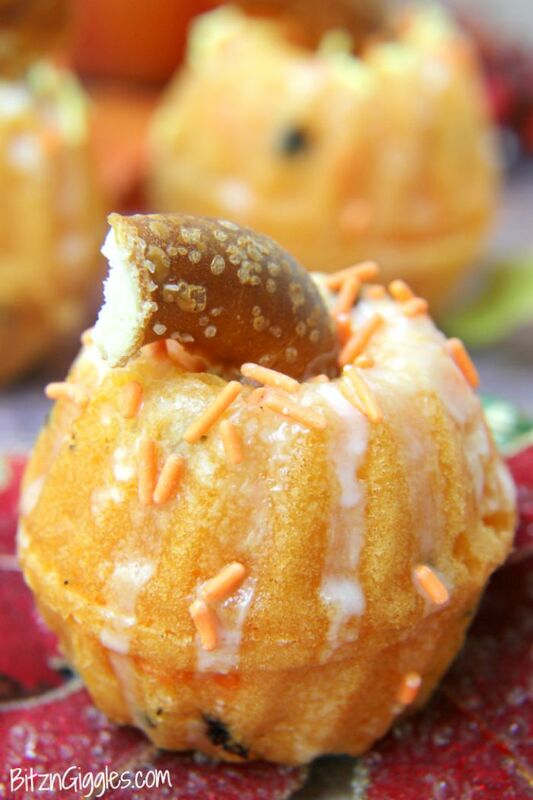 Pumpkin cakes made from a mini bundt pan – a special treat for Halloween and Thanksgiving! Prepare cake mix as directed and add food coloring. Fill each cup in the pan with cake mix. Slice off the top of each of the cakes and set aside. Take one of the bottom pieces, frost and place another bottom piece on top of the frosting. Repeat to create all 6 cakes. In a measuring cup, mix the powdered sugar and water until it forms a glaze. With the cakes sitting on a cookie sheet, pour the glaze over the top of each cake. Insert one of the pretzel stems. With the leftover cake pieces, assemble parfait desserts! 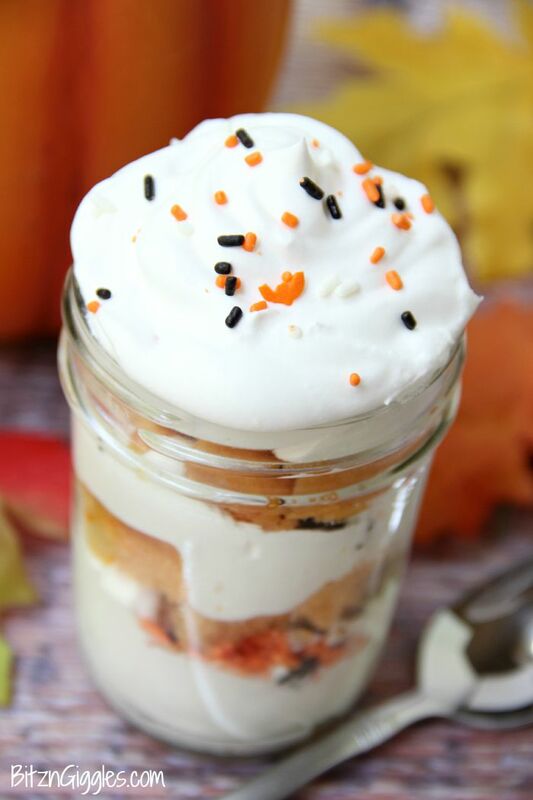 Spoon some Cool Whip into the bottom of a glass, add some sprinkles, drop in a couple pieces of cake and repeat! Top with Cool Whip and sprinkles. Oh gosh! When you were talking about big layer cakes and hand piped flowers, I just laughed, because that it exactly what I make, haha!! But I do love shortcuts, so I could definitely see myself making these! Thanks, Kacey. Yep, gotta’ keep things simple sometimes when life gets so crazy! These look so cool, love the halloween theme! Thanks, Gerry! Halloween is definitely one of my favorite holidays! I love those pretzel stems! And the cakes. So cute! I would have never thought of using two mini bundts like that. I also love how fall-y the pictures are. 🙂 Fun! Thank you, Erin! 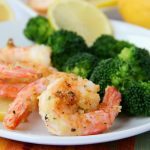 They were a ton of fun to make and the kids really enjoyed them! What a fun idea! This would be such a great Halloween project to do with my boys. I bet they’d love helping frost and decorate the pumpkins!